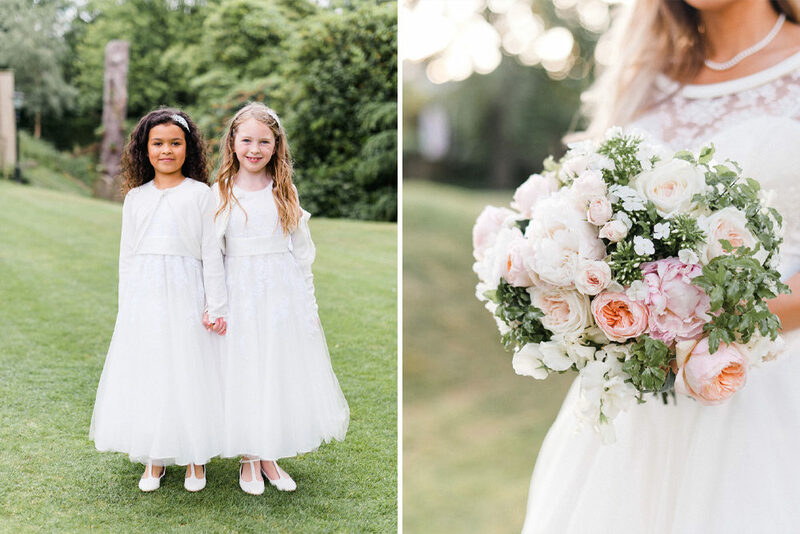 Bride and groom Ne-et & Rob share a love the English countryside, so their wedding planner Emma from Something Blue found the perfect venue for them in the beautiful Pennyhill Park. 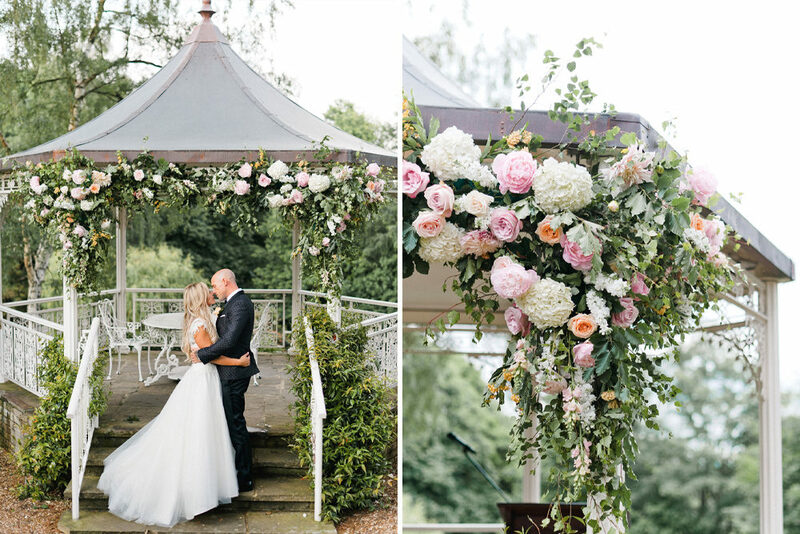 Not only is it a magical 19th century mansion house surrounded by beautiful parkland, but it also includes the most picturesque pavilion which was the stunning backdrop for their outside ceremony. 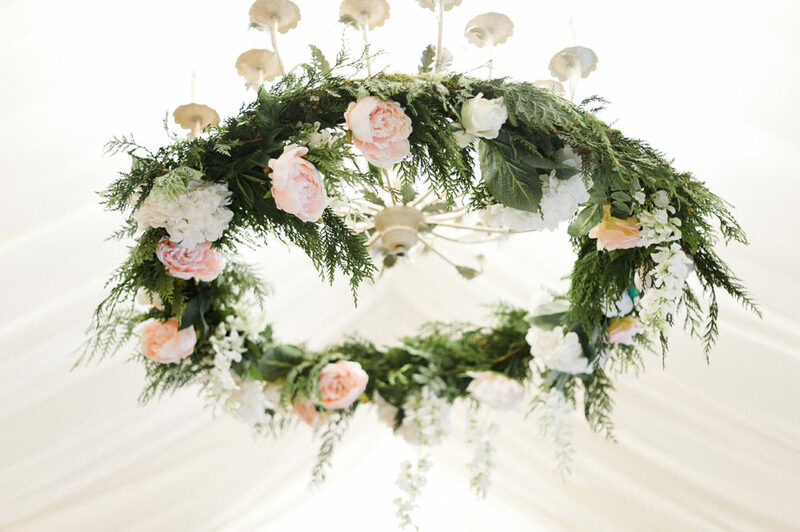 Florist Liz from Blue Sky Flowers draped the archway of the pavilion in an abundance of pink and peach roses, white hydrangeas, and greenery and echoed the beautiful blooms in the reception with floral chandeliers, installations and epic arrangements. Gold edged glass plates, Charbonnel et Walker favours and gold foil menus by Emily & Jo stationery completed the elegant look, and together it is nothing short of spectacular. 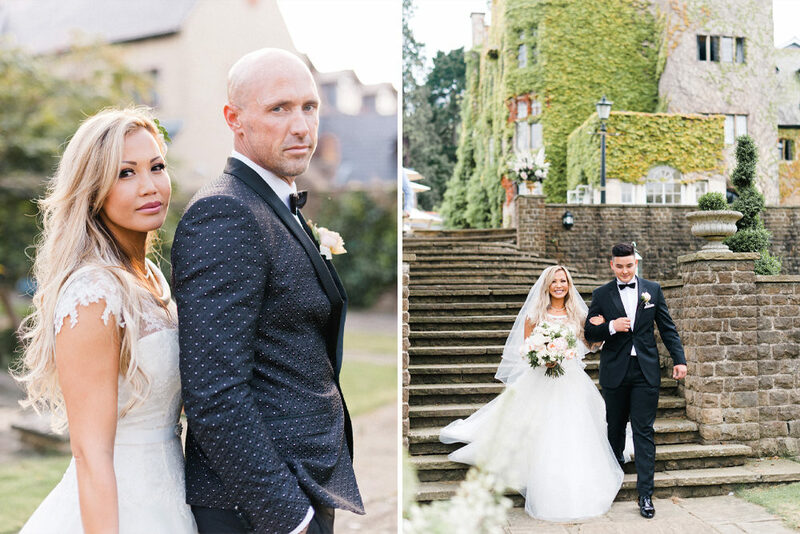 Beautiful bride Ne-et wore a princess-style wedding dress by Sassi Holford purchased from Leoni Clare in Brighton, and beige Rockstuds by Valentino, and groom Rob looked just as fierce in a tuxedo by Dolce & Gabbana. 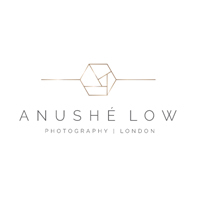 All of the style and elegance was captured to perfection by Anushe Low Photography & Reel Weddings film, so much so you’ll want to view it again, and again. Anushe the Photographer: Ne-et & Rob share a love for spa hotel retreats in the English countryside. 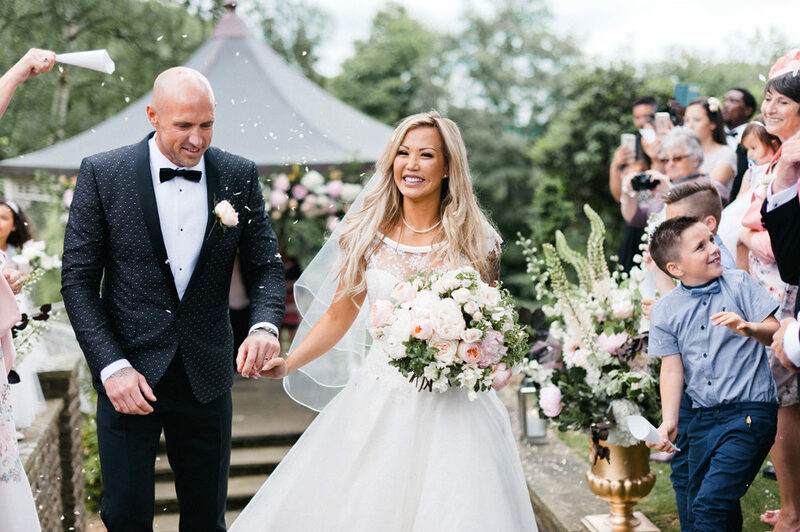 Their wedding planner Emma from Something Blue found the perfect venue for the couple, the beautiful Pennyhill Park: a luxury spa hotel located in a magical 19th century mansion house surrounded by elegant garden terraces set on 123 acres of beautiful woodland and parkland. 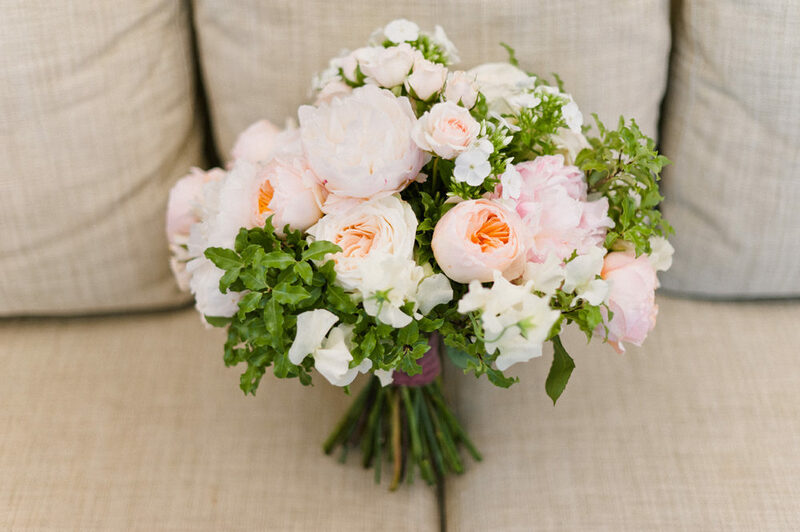 Ne-et wanted a very romantic, soft feel to the whole day with lots of pinks, blushes and ivory. The venue’s outdoor pavilion set down from the Lily Pond Terrace and surrounded by the stunning grounds provided the perfect backdrop for Ne-et and Rob’s outdoor ceremony. 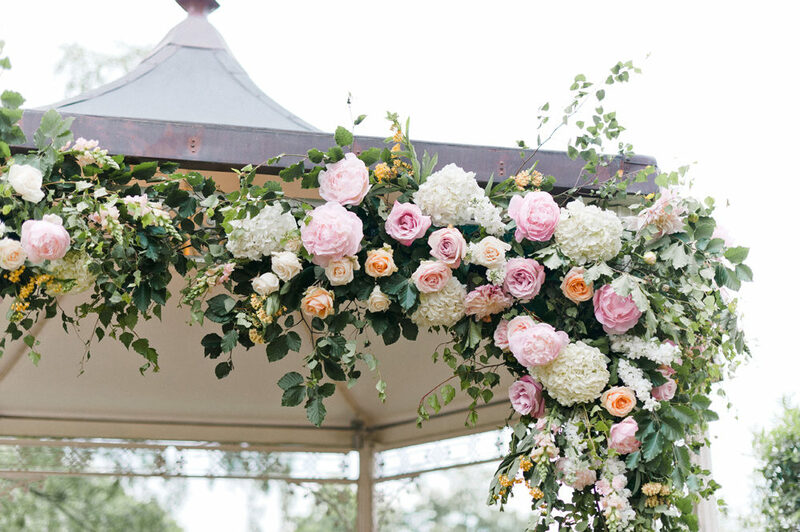 Florist Liz from Bluesky Flowers draped the archway of the pavilion where the ceremony took place, in an abundance of pink and peach roses, white hydrangeas, and greenery. 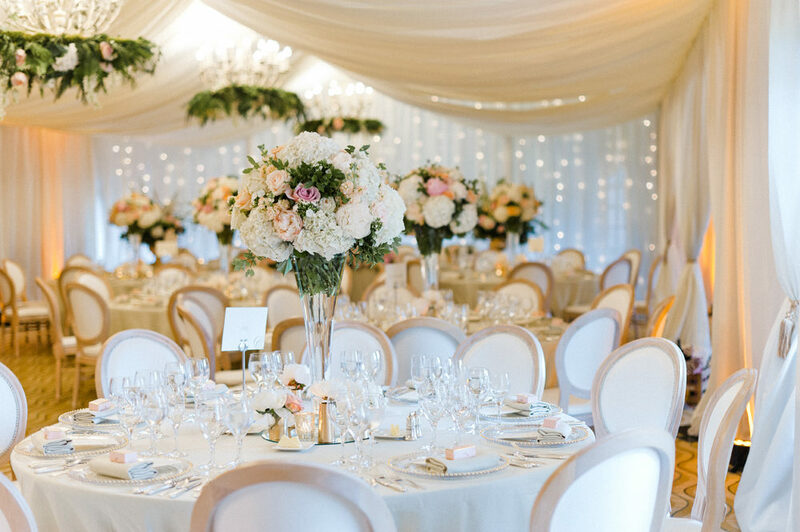 The wedding breakfast was held in the Balmoral Suite whose walls were draped completely in a soft ivory fabric and hanging floral chandeliers. 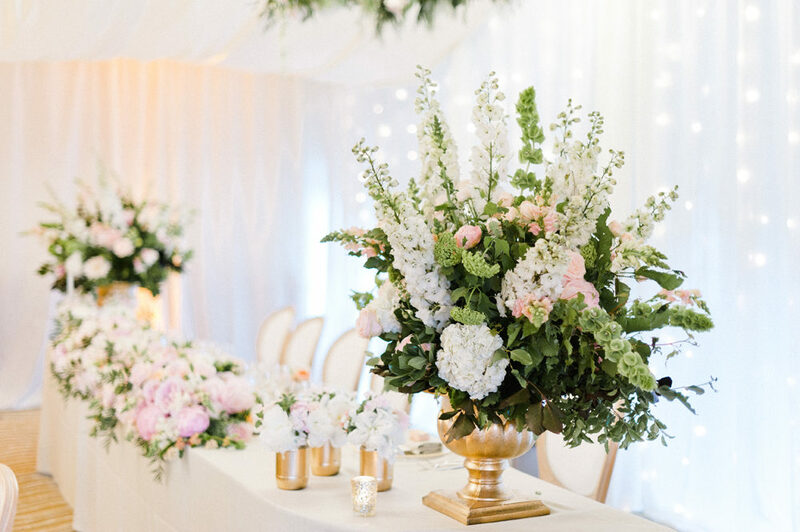 A delicate gold tablescape artfully designed by Emma had gold edged charger plates by Couvert Event Hire Limited, white & gold menus by Emily & Jo, calligraphy by Judy Broad Calligraphy, favours by Charbonnel et Walker and linen by Just 4 LinenEach. 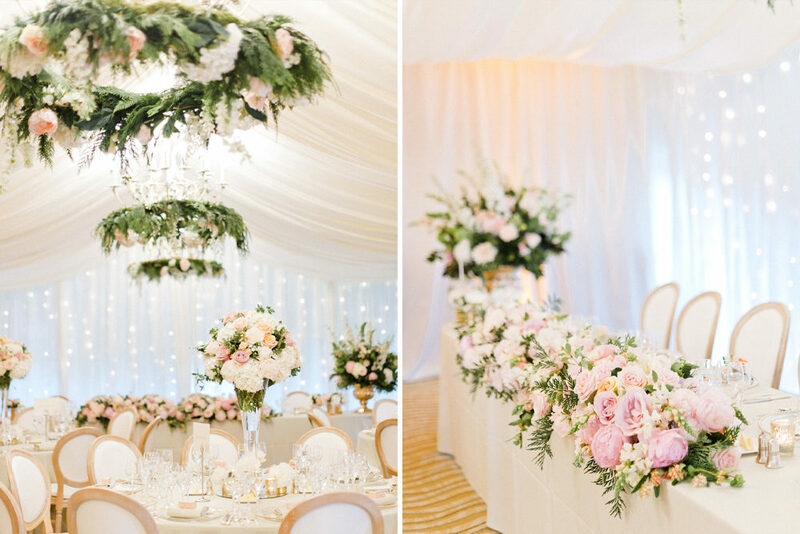 The bride and groom sat at the top table behind a cloud of flowers created by the expert team at Blue Sky Flowers. Ne-et wore a princess-style wedding dress by Sassi Holford purchased from Leoni Clare in Brighton. The Brides shoes were beige rock studs by Valentino. The grooms suit was by Dolce & Gabanna and shoes by Louboutin.